The following DVDs are on display from 16 - 23 August 2017. If you would like to borrow any of these DVDs, please see library staff. Otherwise, click on the call number links to check their availability in the library catalogue. Art 21 presents artists in their private homes and studios, going behind-the-scenes to reveal how artworks and exhibitions are created. Reflecting that intimacy is the series’ signature visual style, which dynamically captures static, immersive, and time-based artworks alike. 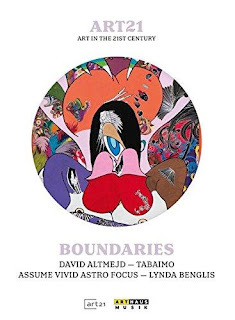 “Boundaries” features David Altmejd, Tabaimo, Assume Vivid Astro Focus and Lynda Benglis. 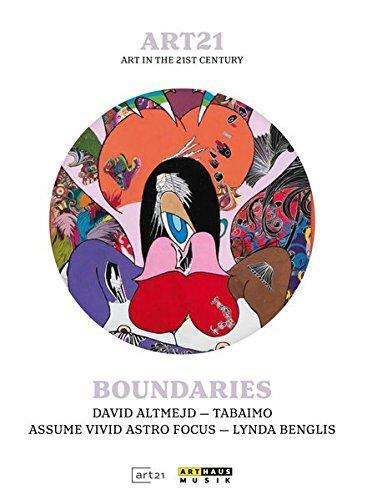 The artists in this episode synthesize disparate aesthetic traditions, present taboo subject matter, discover innovative uses of media and explore the shape-shifting potential of the human figure. How does memory function? What is history? How do contemporary artists frame the past in their work? “Memory” explores these questions through the work of the artists Susan Rothenberg, Mike Kelley, Hiroshi Sugimoto and Josiah McElheny, and concludes with an original video artwork by Teresa Hubbard & Alexander Birchler. The episode is introduced by Isabella Rossellini. What role does intuition, emotion, fantasy and escapism play in contemporary art? 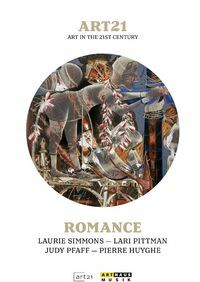 “Romance” explores these questions in the work of the artists Pierre Huyghe, Judy Pfaff, Lari Pittman and Laurie Simmons.